Take a deep, cleansing breath, Harmonizers: Despite recent rumors, Fifth Harmony are not breaking up. Where did that nasty bit of false gossip come from, anyway? Well, it all started when group member Camila Cabello was asked during the interview for Fifth Harmony's November 2015 Latina cover story (which was published on Tuesday last week) if she believed the quintet would "eventually" go their separate ways. She responded, "Honestly, I think we all do." Which makes perfect sense. After all, nothing lasts forever! But, people read into her comment, and it wasn't long before the Internet was buzzing that the dissolution of 5H was imminent. Fortunately, the band's record label, Epic, was quick to set the record straight. "All five members of Fifth Harmony are currently in the studio hard at work on their second studio album for Epic Records," an Epic representative told Billboard last Wednesday. "They are all extremely excited about releasing a new album together and are not going anywhere." The women echoed their label's statement that same day, posting a pic together on Instagram with the caption, "Positive vibes in the studio. So excited for round 2! We're not goin nowhere." So, in other words, we can all stop freaking out now. Everything's going to be just fine! Phew. For starters, we definitely want to mature in terms of our lyrics and content. Although [on the first album] we touched upon a bunch of subjects that we definitely agreed with and are very relevant to us, like girl power and self-love, hopefully this time around we can have some more vulnerability, some more ballads and mid-tempo type [songs], to balance out this album. We want you to sit through it and feel a roller coaster of emotions. If you ask me, featuring more mature lyrical content on their new project is a really smart move, both from an artistic standpoint and a business standpoint. Artistically speaking, stepping out of their comfort zone and trying something new will likely help Fifth Harmony keep their music fresh. Commercially speaking, growing and maturing along with their relatively young fans will likely help them to adapt to changing tastes and remain relevant. See what I mean? Smart. Jauregui continued by saying that Fifth Harmony are going for "[t]he whole R&B, urban, Destiny's Child vibe" this time around, noting that they've already recorded "some really sick tracks with crazy horns all over the place." "Destiny's Child vibe"? "Crazy horns all over the place"? Sign me up! Billboard reports that Fifth Harmony are currently collaborating with famed hit-maker Max Martin and his camp of über-talented songwriters and producers in Los Angeles (which is super exciting news). 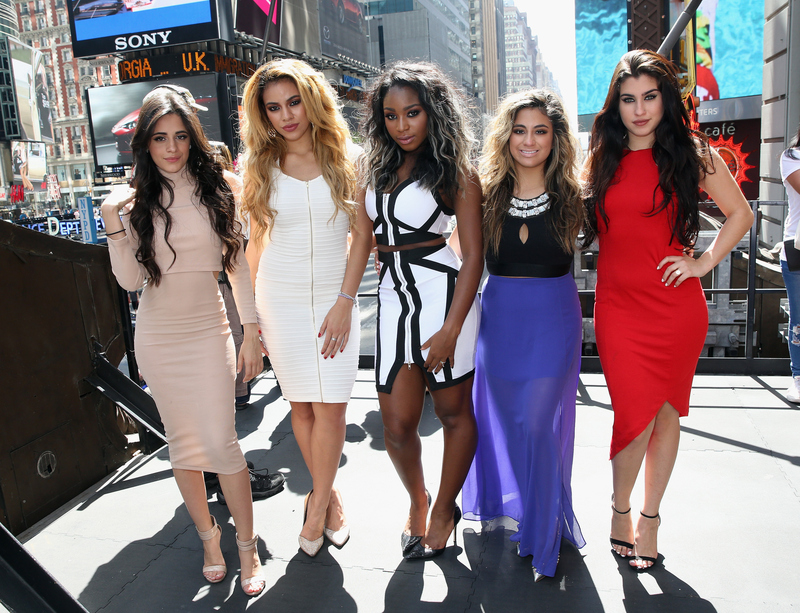 So, to recap: We don't need to worry about 5H calling it quits just yet. Their new album is well underway, and from the sound of things, it's going to be one to watch out for. Stay tuned.